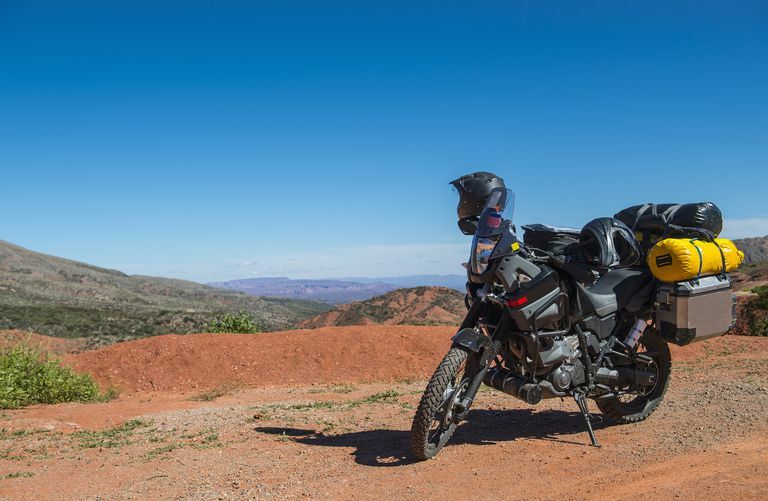 Whether taking a motorcycle road trip in North America, or to sparsely populated areas around the world, it will be made easier with good planning and forethought. The items included in this packing list are ones that my husband and I have found to come in handy if traveling through even rural and lesser populated areas. If you have a general itinerary, be sure a close friend or family member knows about it to keep tabs on you in case of an emergency. Keeping a checklist such as this one accessible and referring to it prior to a road trip will ensure that you don’t forget any essential items. You will be able to pack even on short notice so that you can get to the more gratifying part of your journey: the ride!